International Association Of Independent Journalists Inc. :: View topic - WSIS+10 Informal Interactive UN Event: Articles and Links! International Association Of Independent Journalists Inc. Forum Index -> All articles relating to the WSIS+10 Informal consultations July 2 2015. 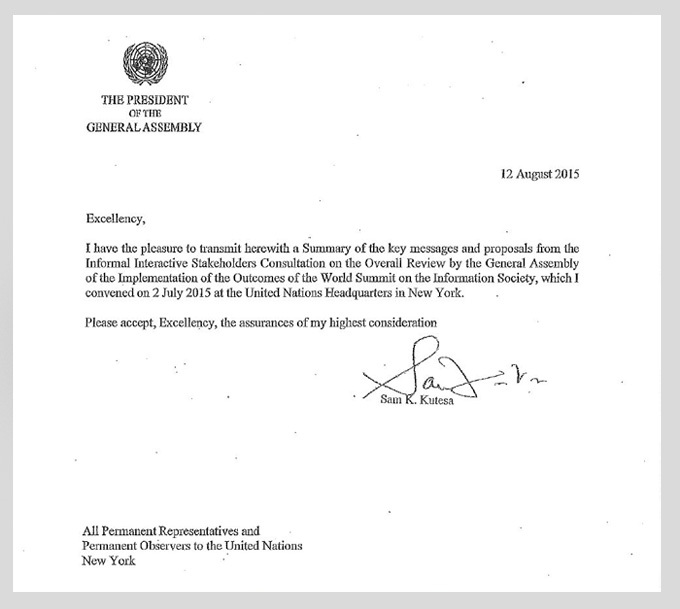 Posted: Sun Sep 27, 2015 9:27 pm Post subject: WSIS+10 Informal Interactive UN Event: Articles and Links! I have been checking around the UN websites and came up with a few more items about our WSIS+10 Informal Interactive General Assembly Meeting last July 2 (2015) and I will group them all together here as a conclusion to that event.